Wing Commander Online Concept Art! Would a Convention Be In Order? Filler came across this 1997 Strategy Plus article. It talks about the WC Convention survey Chris and LOAF had up on the Wing Commander Home Sector, the CIC's predecessor. Some fans of the Wing Commander series are looking to drum up interest in a possible Wing Commander convention. 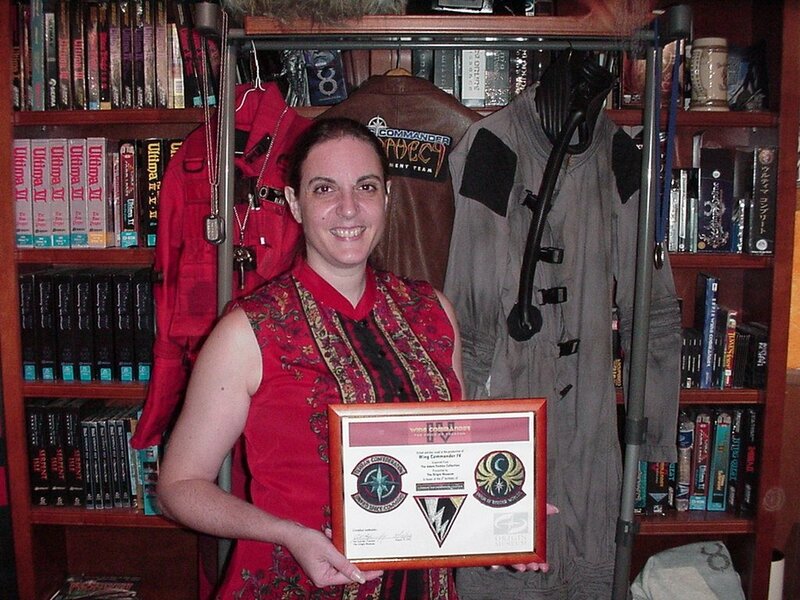 The "Wing Commander Home Sector" fan site has put up a questionnaire asking readers a number of questions, including whether they would be interested in attending such a convention, and if so, where. [...] Origin decided to delay adding these multiplayer options until the release of another Wing Commander product next year. That product would also include Internet play as well. 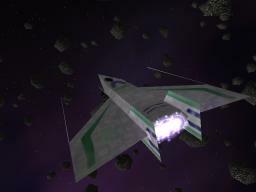 According to an Origin spokesperson, "Origin guarantees there will be multiplayer Wing Commander down the road." If Prophecy GBA includes a four player link, then they weren't lying. Someone had a Marine gun from the Wing Commander movie up for auction. Apparently the $1,000 US minimum was overly ambitious: it didn't receive any bids. The item has since been relisted and can be yours for a paltry $500 US. 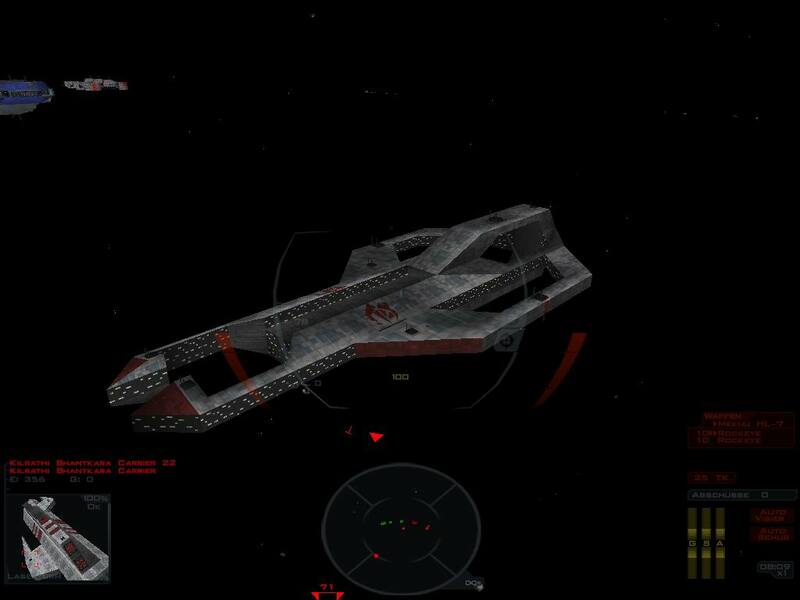 WC Saga: Battlegroup Serpent has released some screenshots of their Freespace 2 mod. They have a forum up here where you can discuss the project with the team. After many fan requests and less activity on the mailing list I have decided to "open" the vega strike forums. For the uninformed 99.99% of the fans (probably including myself) the Vega strike Forum has been open for over a year... with about 20 posts. However it was not maintained and I hardly knew it was up... this is changing as of TODAY :-). I am taking active controls of the forums and they are linked from the sidebar as well as the news of vegastrike. I encourage you all to post any problems you have or help each other out on the gameplay of Vega Strike itself. There's also a Open Discussion section and a future section where people can discuss future networking or modding projects for Vega Strike and hopefully build enough momentum to keep the projects going! We've just received word that the pre-orders we reported on yesterday got the date wrong, and that the US publisher will be Destination Software Inc as first reported. There is no official release date set at the moment. Hopefully we will have some more information about the game itself after ECTS. Looks like Prophecy GBA may be released very soon. Hopefully we can get confirmation of this, because it seems awfully soon. We do know they are planning to show the game at ECTS this weekend, so it's possible that there is some confusion. That's interesting how it says the studio is BAM Entertainment. Maybe the game will be published by them instead of Destination Soft Inc. The latter's website has been "under construction" since forever. 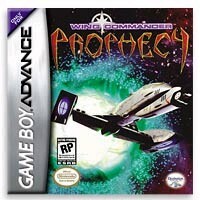 Wing Commander Prophecy, one of the defining sagas of the last decade, is landing on the Nintendo Game Boy Advance. It already won a runner-up award in Pocket IGN's Best of E3 2002 Awards. Just wait until you see this game in action. The 3D engine does the game extreme justice on the small screen. And it features all the missions of the PC game with a four-player link. Quarto reports that the Unknown Enemy team is putting the finishing touches on the various project components. They're hoping to release the Secret Ops mod sometime soon. You can discuss the project on Crius.net. It's still not too late for those WCP Pascal lessons, contact Pedro about them here. HTL continues with "No Rest For The Weary." As you saw in past chapters, the crew of the TCS Endeavour had tracked down and destroyed an enemy carrier group with the help of the 8th Cruiser Squadron. During the battle, they lost one of their escorts and a destroyer from the 8th, along with several pilots. Now, the crew and pilots of the battlegroup are hoping for a chance to rest up and mourn their dead, but it's not going to be that simple. This chapter was written by Shaun "Iceman" Rashid, so please send any and all comments to him velacia@rogers.com, not to me. You can also give them some feedback on their forum. 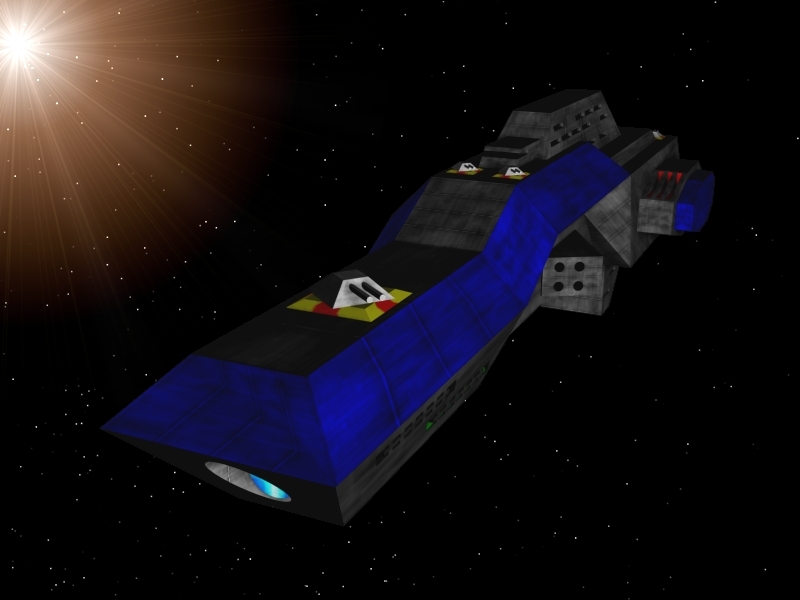 "Privateer 2: Darkside" will be the next installment in the Privateer series. The project, headed by Erin Roberts (Chris Roberts' brother), is currently in the initial planning stages. Like WC3, it will utilize live acting for all of the cinematic sequences, and will use an updated version of the WC3 engine for the actual gameplay. With Unknown Enemy only weeks away, Pedro has begun putting up coding tutorials. These are the result of the WCP Pascal lessons he's been conducting. Meanwhile UE is creeping closer to its release, with only a few missions and FMV scenes left to do. You can talk with the designers in the UE Forum on Crius.net. Wing Commander: The Television Series: Chris Roberts (a.k.a. "gaming God") does it again. In your face action and incredible special effects -- TV style. Information is still very sketchy. We only know that it's going to be a live-action show. WC Saga reports that it's no longer using Digital Anvil's Conquest: Frontier Wars for its Real Time Strategy mod. They're switching to Starshatter instead. The similarly named WC Saga: FS2 is still going ahead as planned, modifying Freespace 2. The Animated Fan Guide is making good progress, completing 13 ship images in two days. And who is this Captain Lesnick, anyway? Thanks to the recent spurt of E-mails sent because of the WCNews article a new version of vegastrike has been uploaded! Yes Vega Strike 0.2.9.4 (http://vegastrike.sourceforge.net) ! All too many people ask me where the music is.... it's there folks! If you install to a DIFFERENT directory you have to move your old savegames by copying both the save folder as well as the serialized_xml folder in your .vegastrike subfolders. That's all for now...this is HellcatV signing off. 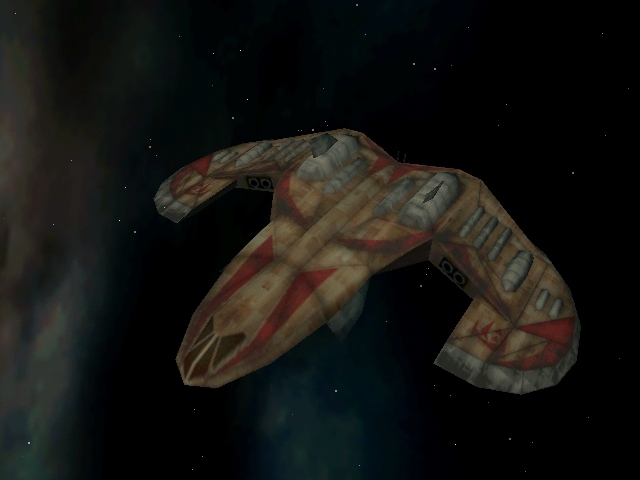 Wing Commander sites hosted on SolSector.net can now have their own forum on Crius.net. We already have forums up for Unknown Enemy and the Origin Museum. Check them out here. Quarto has written a tutorial on editing WCP/SO rooms. If you ever wanted to put Mr Kat in the Midway Rec Room, this article will tell you how to do it. 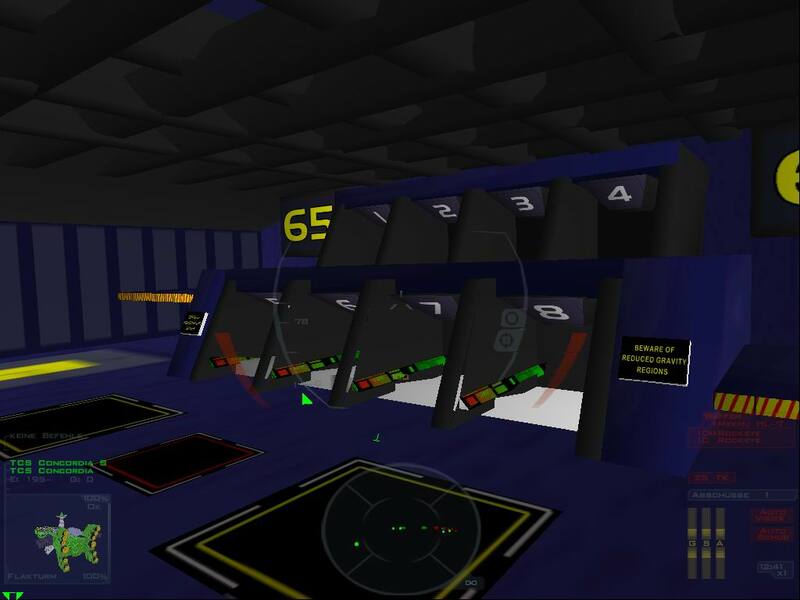 Each room consists of at least two files - a ROM file inside the \mission folder, which defines all the "hotspots" inside the room, the background graphics, and the animation graphics. The second file is an IFF file containing the background image to be used by the room. You can read the whole thing here. KillerWave's is a good place to start if you want to modify WCP or Secret Ops. Here's what typical mission code looks like. If you'd like to know more about coding missions and need more guidance, ask Pedro about his WCP Pascal lessons. Vega Strike to Users: It's Not Your Fault! If Vegastrike does not work we will make it work: mail me at vegastrike-users so we can work out any issues. If you still have loading problems try right clicking on the .vegastrike folder and give world writable permissions to that folder (if you run XP or 2K... I couldn't figure out how to modify permissions in 2k). .vegastrike (dot vegastrike) is the only folder that needs write permissions. Please report any other errors that you may encounter. No other errors have been reported--and hence none will get fixed. 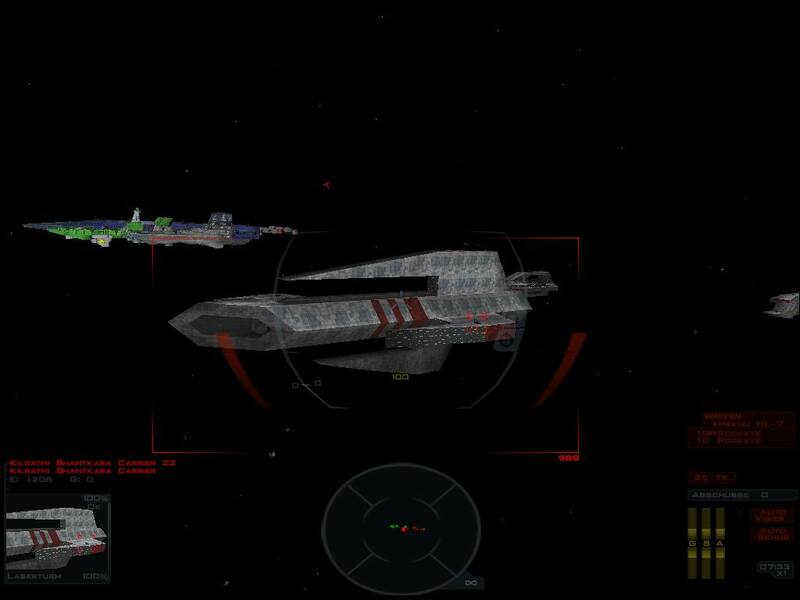 Vega Strike is a 3D OpenGL Action RPG space sim for Windows and Linux. HTL continues with "A Gathering of Forces". As you've seen in the past few chapters, the Border Worlds fleet carrier groups have been drawing the attention of the Nephilim super carriers, and paying a heavy price for it. However, by drawing most of the Nephilim fighter cover and bomber support down on themselves, the Border Worlders have forced the enemy commanders to leave their own capital ships vulnerable. As set in Admiral Hanton's plan at the start of the Tiger Hunt, this leaves the enemy carriers and dreadnaughts wide open to attack by the remaining elements of the human Combined Fleet. You saw in past chapters that the carriers Valley Forge, Endeavour and Yorktown have already attacked and destroyed their targets. Now, a mixed force consisting of the fleet's destroyers, corvettes, and torpedo boats go after their targets. This chapter is jointly written by Dan "Death" Poore, Alex "Ninja" Crislogo, and Greg "Sandman" Sands. #Wingnut regular ThP has built a website around a German documentary on the making of Wing Commander IV. If the German scares you off, you can look at some pictures here, or you can Bablefish the transcript ThP has made. The project is a work in progress, but you can already download some new ships for Freespace 2, including a nifty port of the Vesuvius. HCl, who previously brought you the Secret Ops hi-res patch, reports that he's now got the game running in 32bit color. Positive side effects include increased capital ship viewing distance and asteroid count, as illustrated below. Meanwhile Unknown Enemy is steadily progressing, with more missions and music being completed. There may be light at the end of this tunnel yet! And in case you missed it earlier, Pedro will be teaching a WCP/SO mission coding class. Details here. Eder of the Standoff project has finished their Tarsus and Gothri models. 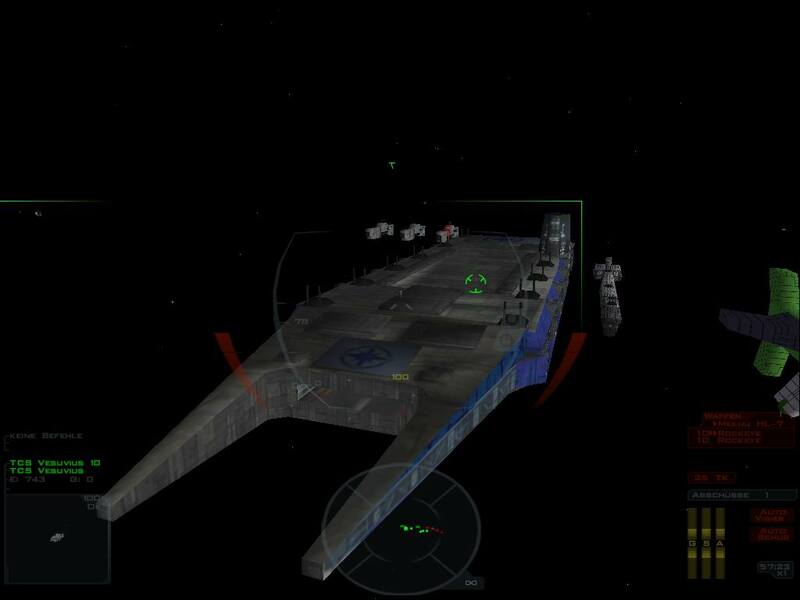 Wing Commander Standoff is a Secret Ops mod that takes place in 2668. You can give your input here. You must be a registered Crius.net member to vote. Check out dvdboxoffice.com where Fox has a promotion running... if you buy four Fox movies apparently you can get one of fifteen movies free, one of which is the Wing Commander movie... If you don't have it and didn't really want to pay for it maybe now's your chance. Only draw back is they don't always have the best price... but they have free shipping world-wide. You can read more about this promotion here. Be sure to read the fine print: All four DVDs must be part of the same order, and you have to e-mail them to collect your free movie. Also, no Québécois! I've recently come into a determination to create something new to add to the WC community. After tinkering around and working on several other things, I ran across and reference page for Gundam (one of my other favorite things). The page was "The Gundam Project" The thing that kept me coming back for more at this page, was that the creator didn't give you the basic "Here's this mechs stats and here's what this guy did with this mech" bs. Yes that was part of it. But he also gave you the history of the universe it took place in. He explained why things worked the way they did. He explained who made the first move during the battles. 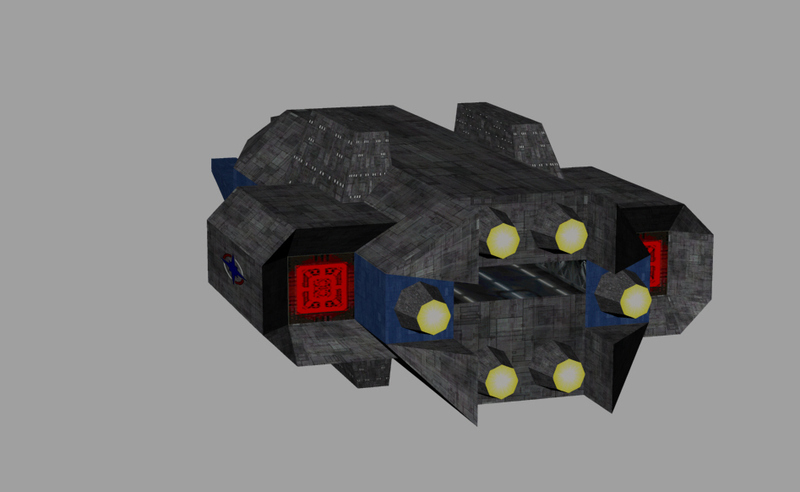 And now I want to make something similar to that, but for Wing Commander. 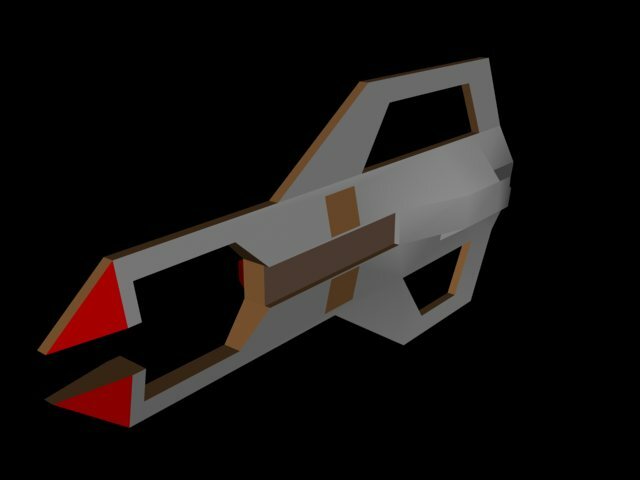 So, I am asking for people to help me create "The Dinifinative Interactive Fan Guide To Wing Commander." By interactive, it will be a series of Microsoft Power Point Presentations that will work like a Web site. 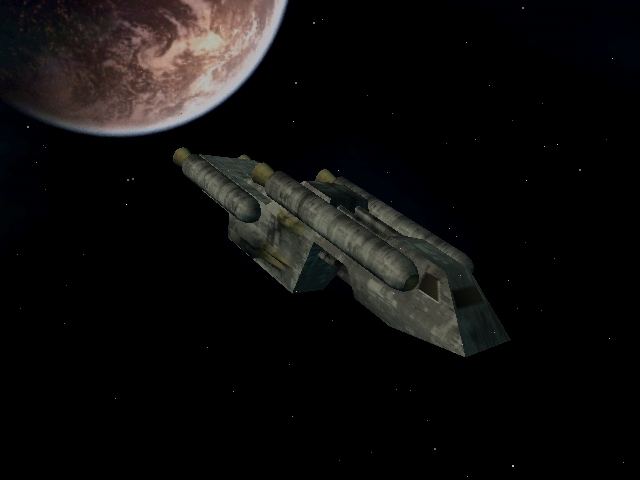 You will be able to explore the "World" of Wing Commander and see when the wars started. You can look at specific profiles and see when Christopher Blair was named the "Coward of K'tithrak Mang" and much more. I'm also planning on including alternate sections to cover the Movie and such. I'll be doing most of the end case production work of it. By that I mean compiling it into the final project as I see it. However, it's the stuff up to that point that I will need help with. Below is a list of things I need for the project. Specifically people. 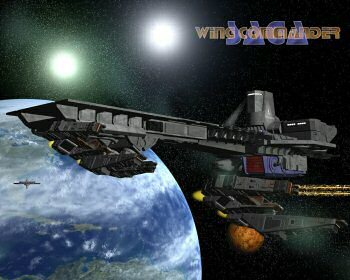 1) I need people who have knowledge of the all the Wing Commander games, including Secret Ops, Privateer and Armada. If possible, have the manuals for the games. 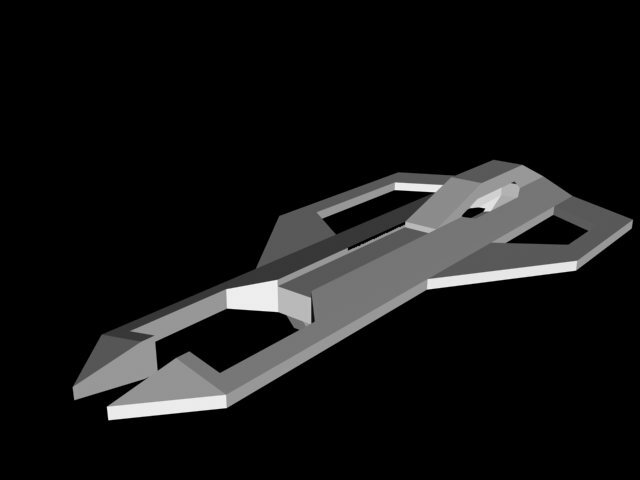 2) I need artists to draw the images of ships, people, weapons, star systems and the like. CG skills are not required but they are appreciated. 3) Writers. I intend to include "essays" about how the war with the Kilrathi started, Why the Battle of Repletah went the way it did, and why Tolwyn did what he did with the Black Lance and all the rest of it as well. We're still recovering from the birthday party here, but before it gets to be too late we need to work out present claims. Below are the prizes with winners along with unique pictures of each of the five WC4 Patch Plaques. Please email us to verify addresses and/or work out alternate prize packages. We hope to have a party log available later this week. I'm taking a personal undertaking of conducting group training sessions in WCP Pascal, originally an idea I came up with when it became apparent that in order to make a sequel to Unknown Enemy of the length we had in mind we would need twice as many mission programmers if we were to have a shorter development time than the first game. However talking with members of other Secret Ops projects they have people willing to help but as of yet unskilled so I've decided to make this an open event. Anyone wanting to learn how to programme Secret Ops missions for UE2, any of the other mods or even just to make their own personal missions should contact me at pedro_ue@yahoo.co.uk with the times (GMT) and days they will be available each week so I can attempt to arrange one which will accomodate the most people. For anyone unable to attain these sessions which will be conducted on mIRC I will be keeping a record of the logs and example missions. HTL continues with part 14 of the Tiger Hunt series, "Even Angels Fall." As you saw in previous chapters, the Border Worlders were throwing everything they had into stopping the Nephilim attack, even resorting to suicide attacks. These strikes have seriously weakened the Nephilim attack force, especially their bombers. However, the sheer mass and momentum of the enemy attack wave keeps pushing the Border Worlders further and further back. Now, they're right back to where their carriers are, fighting the engagement that'll determine if the Border Worlds Navy survives as a fighting force. This chapter is written by yours truly, so please send any and all comments to me. It's been a long and crazy ride for all of us, but we've made it to another major milestone. We'd really like to thank you all for your support. As we mentioned last year around this time, wcnews.com is preserved for the rest of the decade so we're not going anywhere anytime soon. Though we've seen some good times and bad times, the future of Wing Commander is once again looking up. WCP GBA is on the way and we hope to have some new information in the coming weeks ahead. We're also still very optimistic about the Chris Roberts Wing Commander television show expected next year. The fan projects and fan fiction under development look better than ever and have been paying off with fun and exciting products for a long time now. We're going strong and anxious for our second WC community Dragon*Con convention meeting later this month. Hopefully you've made it to our birthday party on irc, but if not, we've tried to put together a list of various site improvements to set off the next year. When we have these events we don't just think of today as another birthday for us. August 10/11 is a birthday for the thousands of you who visit our site on a regular basis. 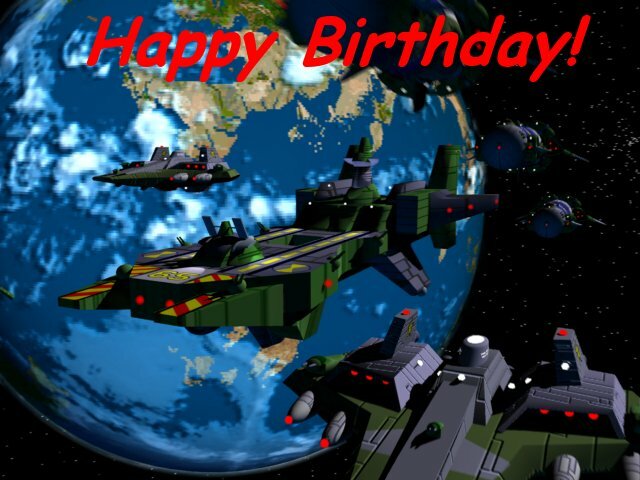 It's another year that you've demonstrated your commitment to our community and the Wing Commander universe that has been established for us. I truly believe that the best is yet to come. Happy Birthday! Howdy, all. LOAF here... my contribution fo the 4th anniversary is a nifty new Wing Commander Universe map which fits in everything I can find from the novels, games, movie and other sources! It can be found at the new Universe Map page where it's available in navigatable, full and printable forms. 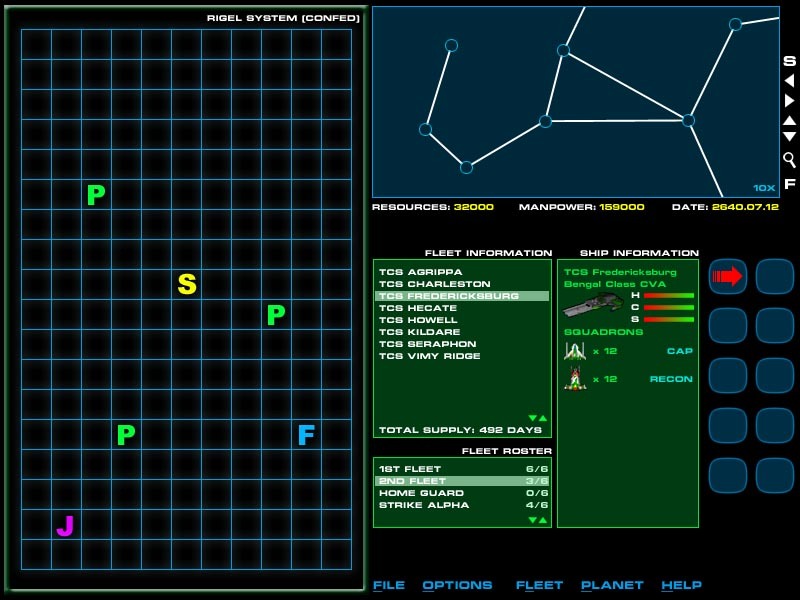 There's also some other useless goop, like an archive of old Wing Commander maps! It's made up of over 100 new pages and more than 300 new images! Enjoy! Hades, Kris & TC have been hard at work overhauling all the various nooks and crannies of the CIC that have gathered some dust over the past year. The ships database/CIC Green has been completely updated to the new style CIC layout. CIC Teal is now complete with its WC2 section. SolSector.net has been polished a bit and a list of hosted sites has been added to the menu of both wcnews.com and solsector.net. Every link in the links section has been checked over and dead links removed. If any sites were removed in error or if you have a site that's not part of the list, please submit it! Every link in where to buy has been verified and dead links removed. Last but not least, the SETI section has been updated to reflect the latest statistics. Minor information corrections were made on more than a dozen other pages. Hopefully this summer refresh helps! It's been eighteen months, but today we get a major Fan Directory update. I was only able to add people who submitted their profiles within the last six months. And I very much want your pictures if you haven't sent them in yet. 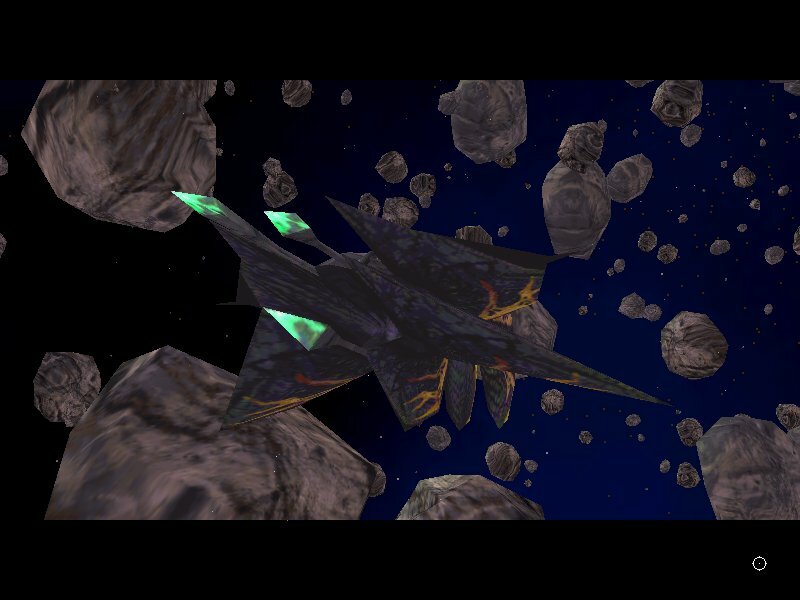 You can check out the newest fanatical Wing Commander enthusiasts here. What Are Those New Links? Our news archive has been made a lot more accessible. You can now jump directly to a specific day or update. Jumping to April 1, 1999 is as simple as pointing your browser to 1999/04/01. You can also get there by using its unique news ID. You can find both these links in the date header. Every update also has a unique ID, located at the bottom next to the author. You can bookmark WildWeasel's attempts to get Wing Commander games to run on XP or the announcement of Prophecy GBA. The news search has been expanded: you can better define your search and the results page is no longer limited to x updates. We're starting off a new year of CIC operation with not one, but two new Mail Bags! The first is a standard look at the crazy and kooky email we get on a regular basis and our impressions on it. Clever people might have guessed the url while we were working on it. You can find the August 10, 2002 edition here. The second is much more mysterious. A long time ago we compiled a number of old emails from early on in the CIC's history and pre-history. And we've sat on these for a couple years until today. Now you can get a glimpse behind the scenes of the CIC's creation here. Bet nobody expected that one! In celebration of the CIC birthday I have decided to release Vega Strike 0.2.9.3. Vega Strike is an open source project. Their website is located here. Well.. not quite, but we're working on it. One of our most frequently asked questions revolves around the control schemes for various games. And now we've gone and condensed all this information into one easy to use page. You can find a list of control schemes for your favorite (and manual-less) WC game here. As a gift to CIC and everyone to celebrate our 4th birthday Black Joker from Wing Commander in Russia has kindly put online the Wing Commander section of an Origin special included with PC Format magazine back in good old 1994. Among other things it contains some great behind-the-scenes info from Wing Commander 3. You can find this magazine section here. Our long-time visitors will know that every year we update our bi-weekly poll. This time we're asking the obvious. You can view previous polls here. MNelson: for providing a bunch of cool prizes to help us promote this event... and, most importantly, for going above and beyond to support the CIC with file hosting at BlackLance.org. 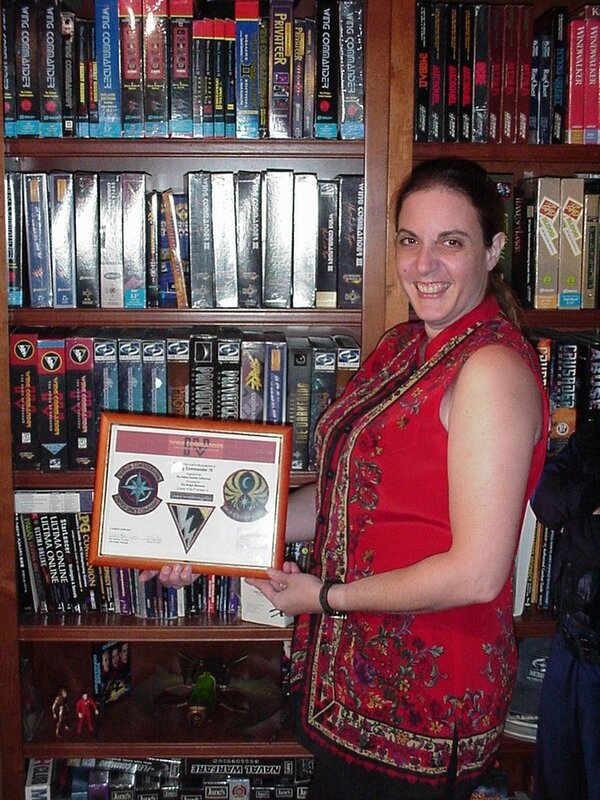 The Wing Commander community as a whole owes her a great debt. 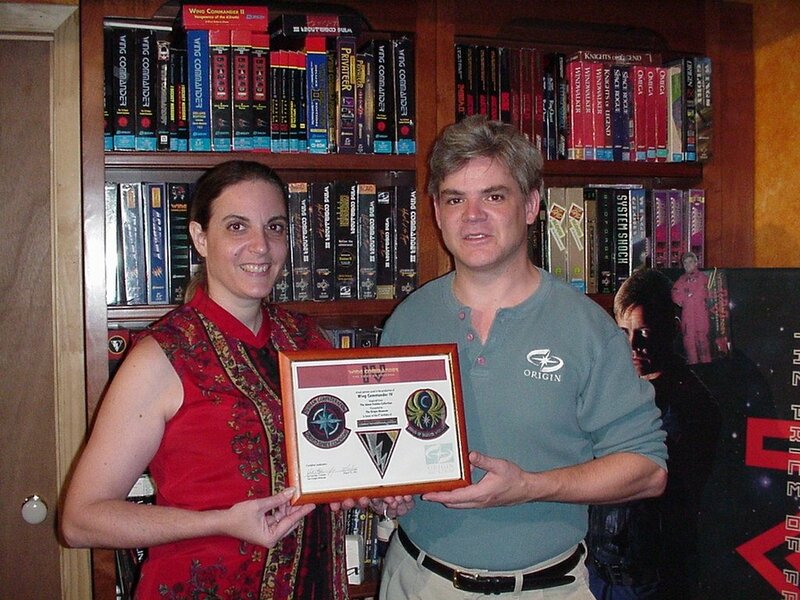 Joe and Paula Garrity: For donating the radical Wing Commander IV patches that we're handing out tonight -- and for working to promote the continued existence of Wing Commander fandom through collecting. Surely a noble goal. 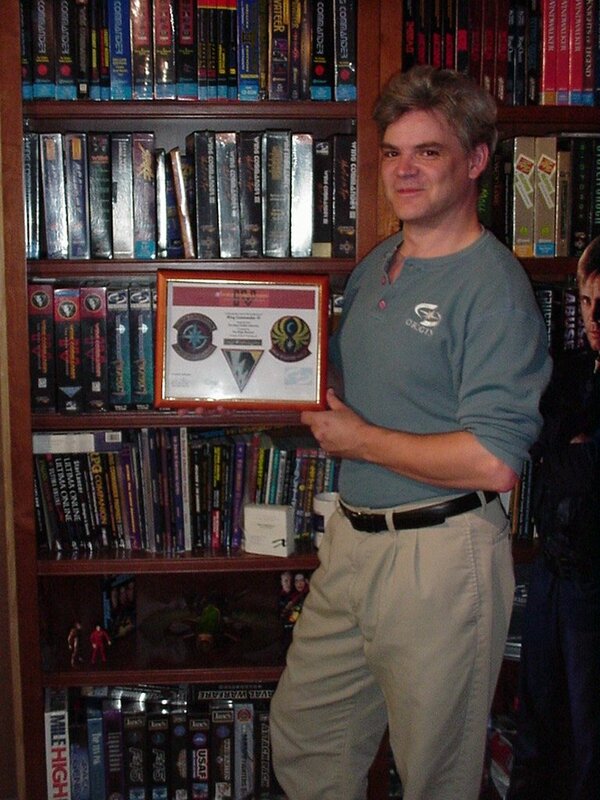 Adam Foshko: For providing the nifty Wing Commander IV patches to Joe that we're giving away tonight (and for producing Prophecy and stuff). Hard Working Fans Everywhere: Groups like the Wing Commander Aces and the Unknown Enemy team are doing a wonderful job of keeping the Wing Commander fanbase alive! We salute you all! 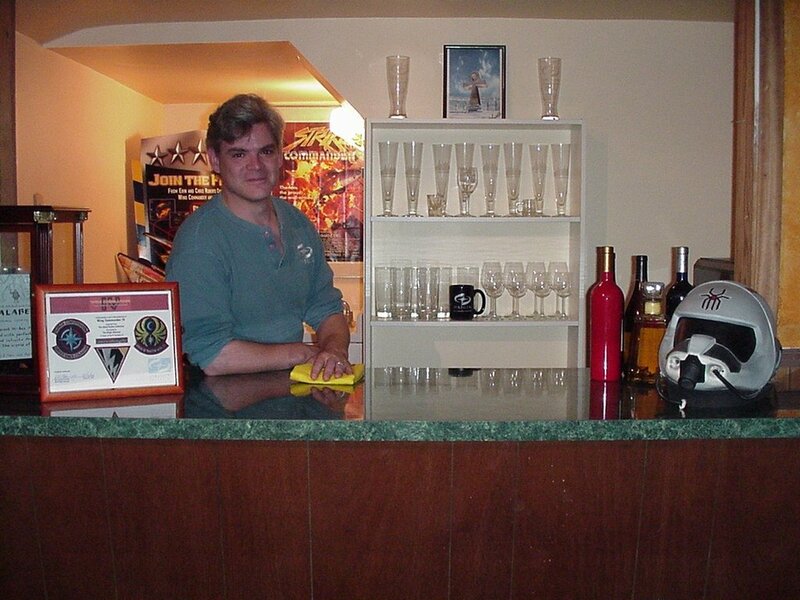 Raylight Productions: They're the reason we'll all be playing a new Wing Commander game next year! Captain Johnny: Because we can. We're counting hours now over in #Wingnut until the party starts. If you're not set up yet, download mirc and join us on DALnet by 7:00 pm EDT (4:00 pm PDT and 11:00 pm GMT) on Saturday afternoon/evening (Sunday morning for the far East/Australia). At 7:00 pm Eastern we'll start the official 60 minute countdown to our anniversary and begin looking at ways to give away prizes. We've just completed our Birthday Presents inventory and have all sorts of goodies set aside for door prizes. In addition to the usual novels, action figures, books, cards and so on, we might have a few surprises. 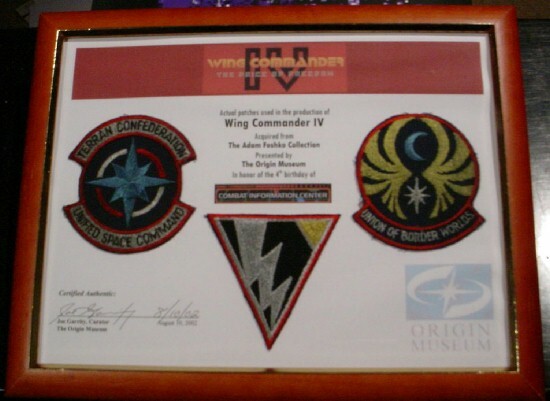 As previously mentioned, the Origin Museum has donated five framed WC4 patch sets and we've recently found out that BlackLance.org will be donating some autographed materials for the event. Since there hasn't been any talk of absentee back door prizes this year, I hope that means most of you can come. If the wait for CIC Birthday Four is getting too intense, we've gone ahead and made a log of CIC Major Events available for you to browse in the mean time. There's a lot of history and great memories in these text files. If you had any doubt about our parties, these logs will show you how crazy it gets when dozens of wingnuts get together in the same place at the same time. You can find our previous logs here. Gevatter Lars of the WC Saga project has some new models finished. These textures are only temporary. Michael Mahadeen, who's doing the music for Unknown Enemy, has released a 5-minute music sample consisting of his in-game music. You can grab it from their downloads page. HTL continues with part thirteen of the Tiger Hunt series, "Dulce et Decorum Est." As you saw in the last chapter, the Border Worlds pilots who were fighting to protect their carriers had tried to ambush and destroy the remaining Nephilim bombers. The ambush failed, forcing them into activating a last ditch plan that they had hoped they would never have to carry out.This story picks up from there. This chapter is written by yours truly, so please send any and all comments to me. Like most of the Tiger Hunt series, this chapter was written before the September attacks last year. I thought long and hard whether to release it,both on the Aces list earlier this year, and on the CIC now, as it deals with a suicidal attack and why someone would carry out such an attack. In the end, I decided to go ahead because I feel an attack carried out by soldiers against a military target, suicidal or not, is a very different thing from a terrorist attack. Still, I think it's only fair to warn people in advance so that they can choose whether to read it or not. #wingnut regular Thomas Perl has put up a video of the making of Privateer 2. It's 16MB in size and 5 minutes long. You can download it here. 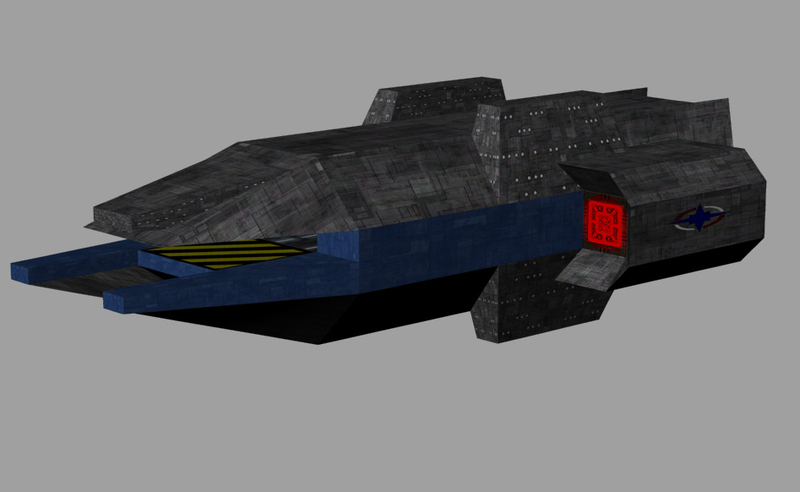 A new Wing Commander fan project, Strategic Commander is almost ready to go in to beta testing. To celebrate this, we were sent a design document and a screenshot of the game in it's current state. Unfortunately there is no firm date for release at this stage, and the whole email is too long to quote here, but here are the basics. If you want more details you can email them here. Command vast fleets of Confed Forces in the epic struggle against the hateful Kilrathi. Random/Fixed Events: Oh my yes. It's August and that means we're only ten days away from the CIC's fourth birthday! The big party sure snuck up on us quick this year. If you haven't already, clear your schedules for the evening of Saturday, August 10. Things officially start coming together in #Wingnut on DALnet at 7:00 pm EST (4:00 pm PST and 11:00 pm GMT). At that point we begin the 60 minute count down to the big moment, but feel free to stop by earlier to informally chat with dozens of other Wing Commander fans. As usual, we'll also be giving away numerous birthday presents and door prizes to commemorate the event. In addition to the standard batch of figures, novels, games and other goodies, Joe and Paula of the Origin Museum have put together a fantastic Wing Commander IV patch display courtesy of Adam Foshko. Five of these beautiful displays will be among the items given away during the festivities. We're already starting to see some of those old familiar faces popping up more and more in anticipation of the party. Don't hesitate to drop by #Wingnut early to get used to the interface and make sure your time syncs with ours. Many of you have sent in updates for our Fan Directory that hasn't been updated in a while. If your update is not there or if you would like to change something, now's the time to resend your bio in. Pictures are especially welcome. If you are also working on a fan project or have something else to contribute to coincide with our birthday, please get in touch with us as soon as possible. We hope each and every one of you can make it! This week we also celebrate the birthday of our most mysterious staff member, ace. He's now more or less one year older than he was last year about this time. Happy Birthday ace!